A partnership focused on growth and development of grassroot swimming opportunities in the U.S.
COLORADO SPRINGS, Colo. – USA Swimming, the national governing body (NGB) for the sport of swimming in the U.S., and Streamline Brands, a leading franchisor of swim school concepts, today announced a multi-year partnership focused on creating more swimming programs across the country and transitioning a greater number of athletes from learn to swim programs to recreational and competitive swimming. 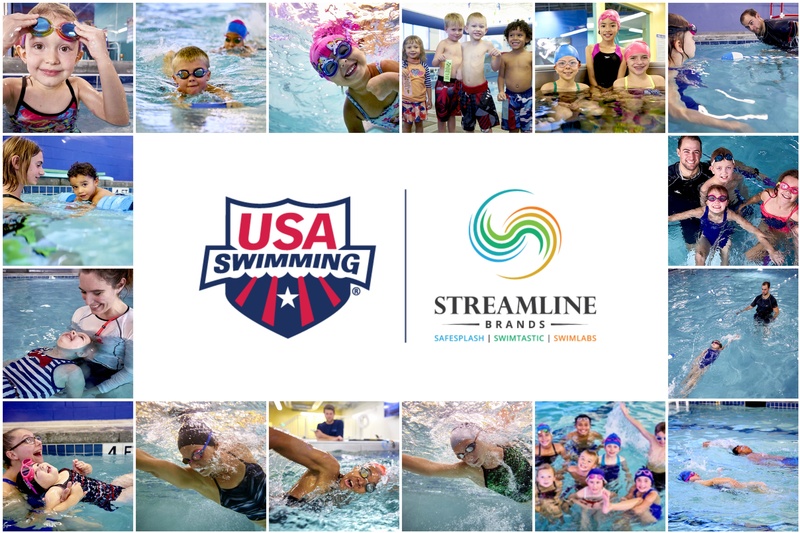 Beginning January 2019, Streamline Brands will become the Official Swim School Provider of USA Swimming. The partnership includes rights to official marks, branding, marketing and promotional opportunities, as well as membership incentive programs. Additionally, advertising will feature on U.S. Masters-owned channels. Streamline Brands, based in Denver, Colorado, is the industry’s largest franchisor of swim schools with three brands in the family: SafeSplash Swim School, SwimLabs Swim School and Swimtastic Swim School, with over 178 swim schools in their network. In 2016, Streamline Brands acquired SwimLabs, a brand renowned for providing competitive level swim instruction using video analysis coupled with the ability to compare any swimmer’s stroke to elite swimmers using video captured in the SwimLabs Champions Library, which includes Olympic gold medalists such as Missy Franklin, Jason Lezak, Kelsi Worrell Dahlia and Ryan Lochte. Franchisees Amy Albiero, a multiple NCAA national swimming champion, and Arthur Albiero, Head Swimming and Diving Coach at the University of Louisville and USA Swimming National Team coach, recently opened a SafeSplash + SwimLabs Swim School in Louisville, Kentucky. 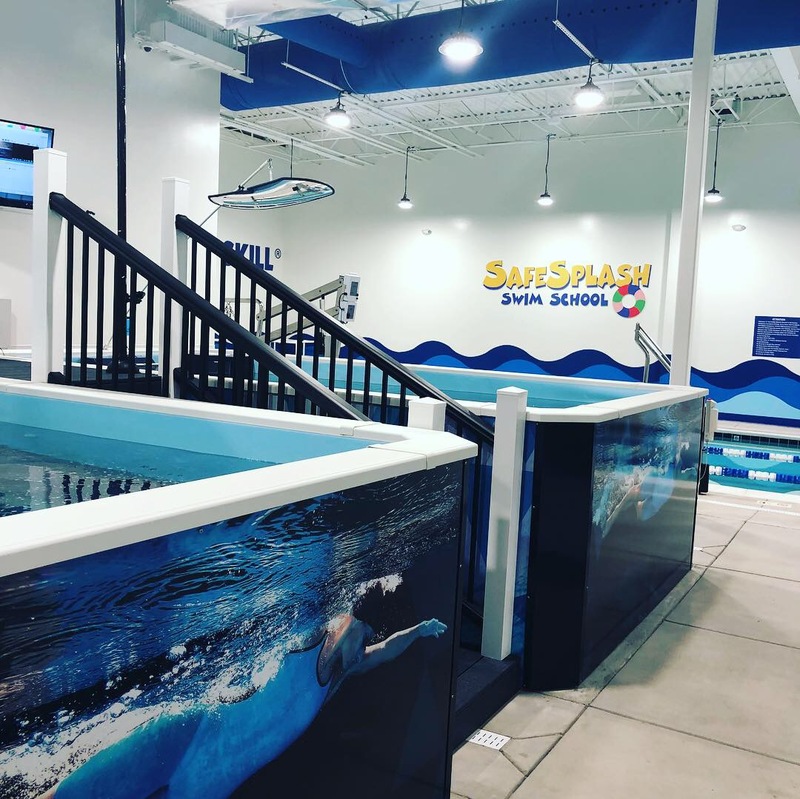 The facility offers both the industry leading learn-to-swim curriculum and instructor match offered by SafeSplash Swim School and the cutting-edge advanced training technology provided by SwimLabs Swim School. Keep up with Streamline Brands and USA Swimming partnership news by following @usaswimming on Facebook, Twitter and Instagram. Streamline Brands is the industry's largest franchisor of swim schools. After opening its first school in 1996 in the Milwaukee, Wisconsin market under the Swimtastic brand, the company has grown to 178 locations in 24 states and three countries, operating under the brands SafeSplash Swim School, Swimtastic Swim School and SwimLabs Swim School. Franchise development rights are available for all brands throughout the world. For more information about Streamline Brands or to learn about franchising opportunities with the company, please visit www.streamlinebrands.com or follow SafeSplash® or SwimLabs® on Facebook, Instagram or LinkedIn.